Get centered and feel the inner ground of composure, stability, and centeredness. Smile, breathe, and be present. Experience the foundational ground of Presence, authenticity, and integrity. As kindness is expressed, observe the ground of heart-mind through compassion as action. As respect is given to another person, place, or thing, delight in the shared ground of appreciation and genuine recognition. Ground is not only under our feet. Ground is non-local and is a quality that we experience in a wide variety of ways, inside and out. 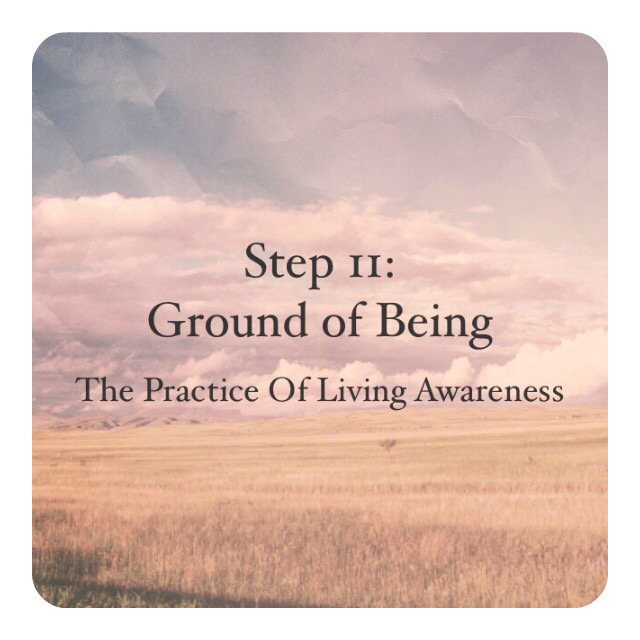 Step 11 is the Ground of Being.